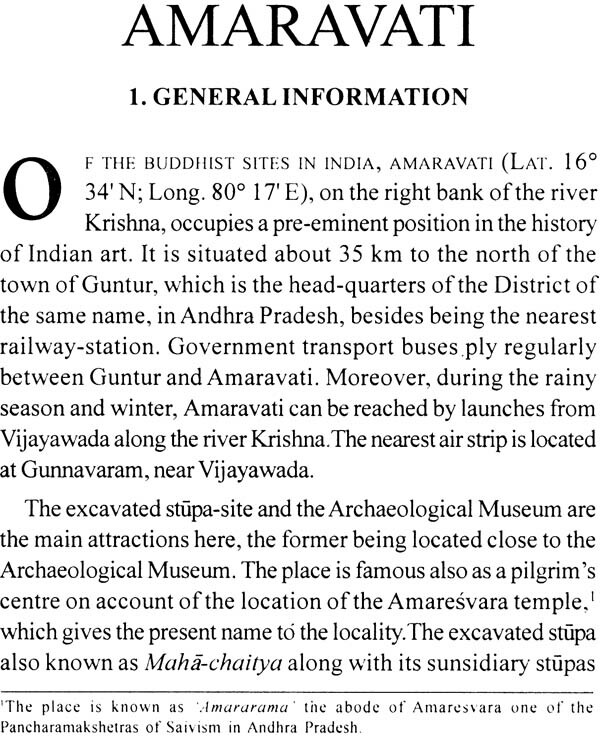 Of The Buddhist sites in India, Amaravati (Lat. 160o 34’ N; Long. 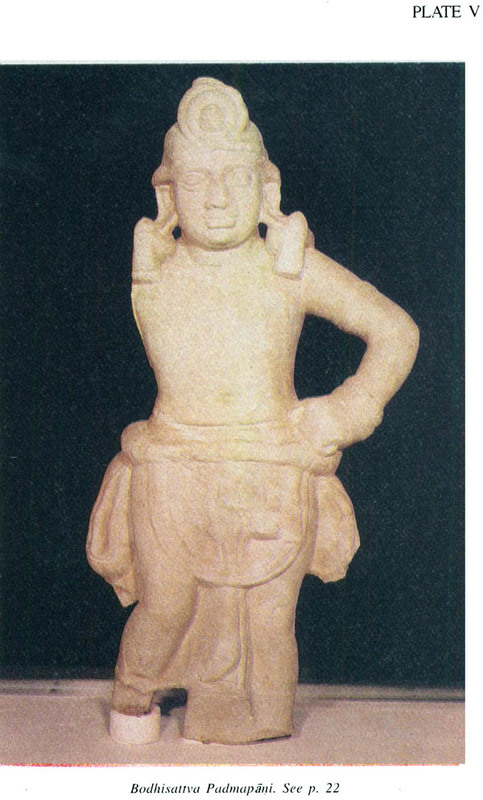 80o 17’ E),on the right bank of the river Krishna, occupies a pre-eminent position in the history of Indian art. It is situated about 35 km to the north of the town of Guntur, which is the head-quarters of the District of the same name, in Andhra Pradesh, besides being the nearest railway-station. Government transport buses ply regularly between Guntur and Amravati. Moreover, during the rainy season and winter, Amaravati can be reached by launches from Vijayawada along the river Krishna. The nearest air strip is located at Gunnavaram, near Vijayawada. The excavated sputa-site and the Archaeological Museum are the main attractions here, the former being located close to the Archaeological Museum. The place is famous also as a pilgrim's centre on account of the location of the Amaresvara temple, I which gives the present name to the locality. 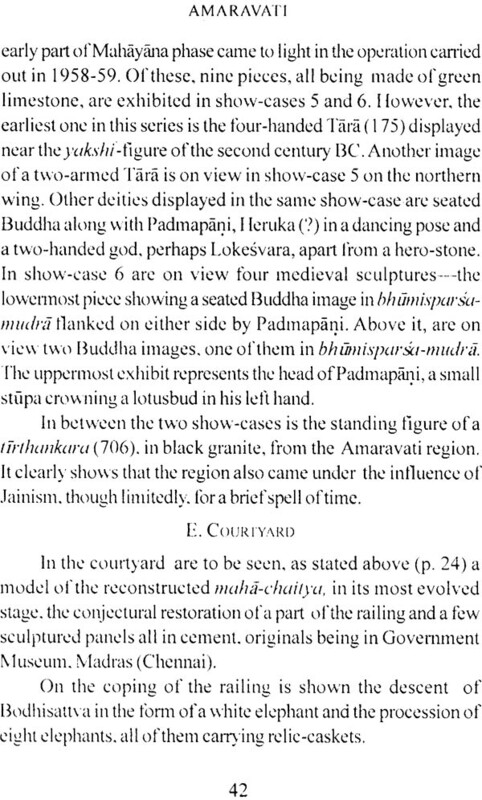 The excavated stupa also known as Maha--chaitya along with its subsidiary stupas and other structures and the adjacent archaeological museum housing some of the best specimens of Amravati school of Art and stupa architecture are the interesting place to be acquainted with for both art lovers and general public. 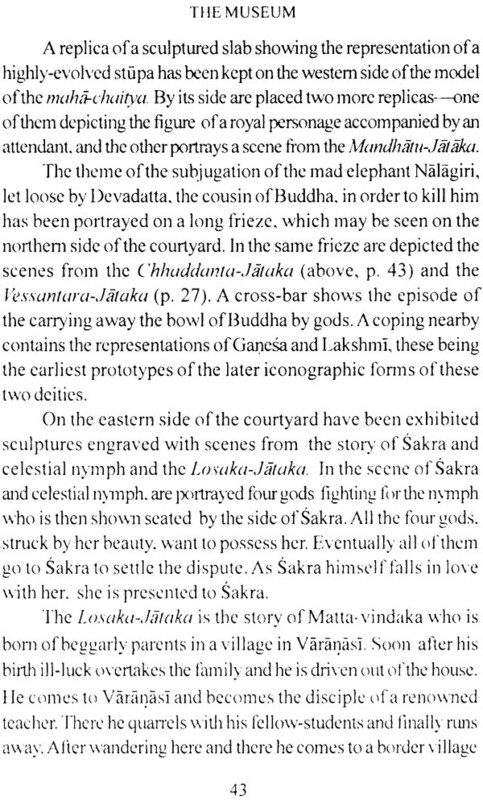 Its neighbouring village Dharanikota was the actual site of the ancient Dhanyakataka, the capital of the later Satavahanas. 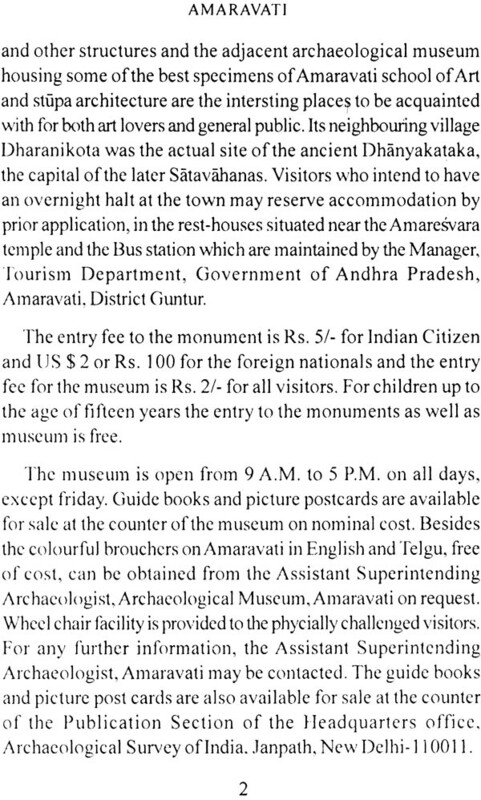 Visitors who intend to have an overnight halt at the town may reserve accommodation by prior application, in the rest-houses situated near the Amaresvara temple and the Bus station which are maintained by the Manager, Tourism Department, Government of Andhra Pradesh, Amravati, District Guntur. The entry fee to the monument is Rs. 5/- for Indian Citizen and US $ 2 or Rs. 100 for the foreign nationals and the entry fee for the museum is Rs. 2/- for all visitors. For children up to the age of fifteen years the entry to the monuments as well as museum is free. The museum is open from 9 A.M. to 5 P.M. on all days, except Friday. Guide books and picture postcards are available for sale at the counter of the museum on nominal cost. 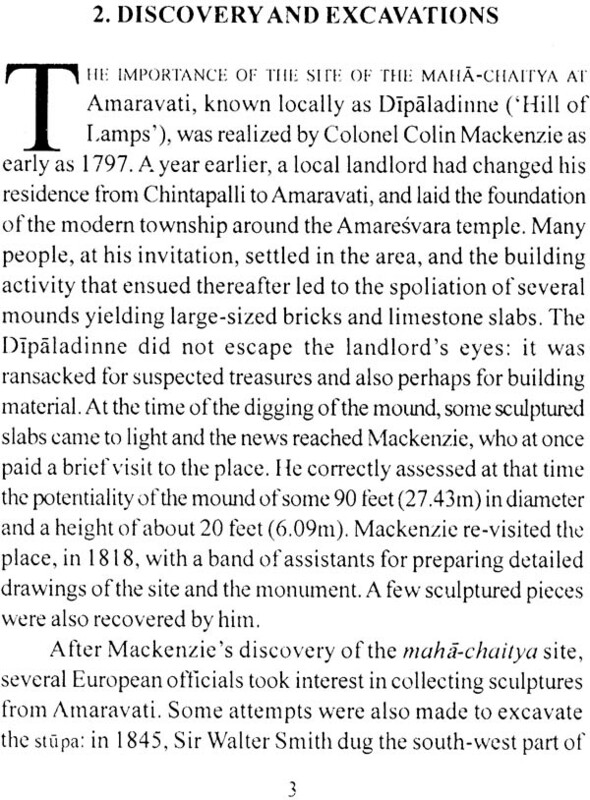 Besides the colourful brouchers on Amaravati in English and Telgu, free of cost, can be obtained from the Assistant Superintending Archaeologist, Archaeological Museum, and Amaravati on request. Wheel chair facility is provided to the physically challenged visitors. 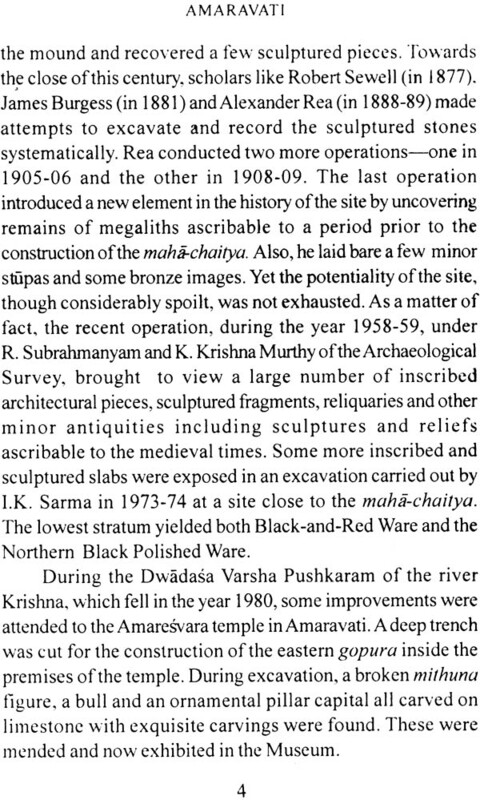 For any further information, the Assistant Superintending Archaeologist, Amaravati may be contacted. 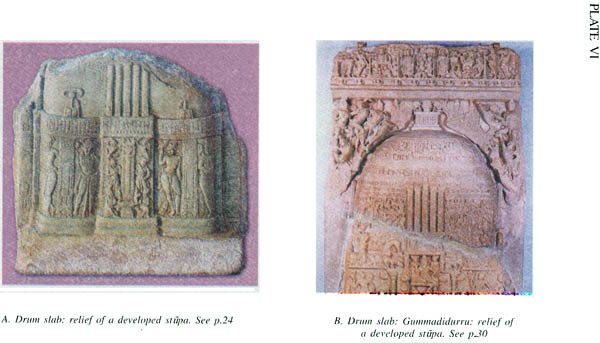 The guide books and picture post cards are also available for sale at the counter of the Publication Section of the Headquarters office, Archaeological Survey of India, Janpath, and New Delhi-110011.